Cranes maximize worker safety, improve productivity, and can increase the bottom line. Let’s take a look at some situations where informed and targeted uses of gantry, bridge, monorail, and jib cranes can translate into big cost savings. If you have a big job to do, it is essential that you have equipment that’s up to the task. The world’s largest gantry cranes can be found at shipyards or transloading facilities where heavy parts or cargo must be transferred from ship to ground or from ship to truck or rail transportation. To understand the cost savings that gantry cranes bring to such a setting, try and imagine doing the job without a crane. A gantry crane greatly reduces the time needed to move high volumes of heavy tonnage units. This means increased productivity and a reduction in time that cargo sits in rail yards and ports waiting to move along the supply chain. Staying competitive in today’s industrial environment demands a coordinated effort of increased productivity and a reduction in workplace hazards. Whether your business is engaged in warehousing, shipping, or manufacturing, making sure that materials are being handled safely at predetermined and efficient work flows is a key factor in being cost competitive. Today’s cranes are surprisingly versatile and provide modern material handling solutions. Let’s look at how cranes can help move materials more efficiently. In a large industrial space, when you need to stabilize and move large loads from one area of the work floor to another, a bridge or gantry crane provides a perfect solution. These cranes can be operated manually or with motorization and make it easy for one individual to safely control and move large loads up to hundreds of tons, without the help of multiple machines or workers. If you are moving loads that need to navigate turns or obstacles, a monorail crane may provide a solution. Monorails provide paths to move product on, and their paths can go anywhere that the monorail track can be installed. These cranes allow an individual to move loads of several tons, but provide the added benefit of being able to go around sharp corners or place loads in tight storage areas. In fabrication and assembly work environments where loads must travel through various work stations, jib cranes may be the answer. Jib cranes provide full or partial radial lifting coverage and can service one or multiple work areas with one crane. Jib cranes relieve workers of lifting burdens and eliminate the need for forklifts to move products to another station or for assembly. Whatever the solution, a gantry crane, bridge crane, or jib cranes provide a material handling solution that creates fewer hazards, is less labor intensive, and can provide efficiency by replacing fork truck fleets or multiple workers. An excellent example of a profit generating application for a crane is General Electric Transportation’s locomotive manufacturing plant in Erie, Pennsylvania. Here, a large facility bridge crane is used to lift, move, and lower locomotive parts. Some parts, like 4400-6000 horsepower diesel engines, weigh several tons each. The bridge crane allows an array of locomotives to be built or serviced simultaneously, without idling crews or jeopardizing worker safety. Because overhead cranes reduce hazards, they reduce the costs related to workplace injuries. This includes costs like time off from work, increased company insurance premiums, compensation payments made to injured workers, and training and employee replacement costs. 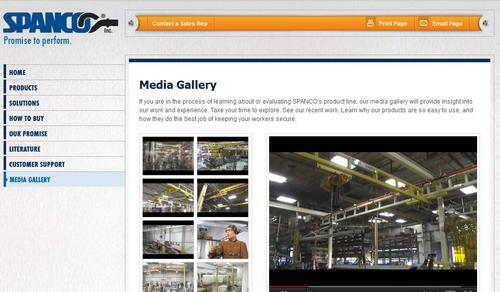 Remember, the high cost of a safety accident can be prevented by making an investment in a material handling solution. Ultimately, the greatest profit-generating uses for cranes are what employers make of them. Companies should assess the needs of their workplace. They should observe places where logjams occur or where workflows could be improved. Check areas where manpower is most heavily used and where injury risk is highest. Any or all may be places where a crane may help you reduce costs and maximize your productivity and profitability. You are so right about the high cost of a safety accident can be prevented by making an investment and that can be in they way of a rental of a crane.